The Medela Professional Symphony Electric Breast Pump is the first breast pump with Natural Expression, which encompasses a two phase pumping action that offers a rapid rhythm to enhance the "Let-Down" method of breastfeeding and then reduces to a slower, deeper rhythm for efficient milk expression. The Medela Symphony electric breast pump includes a pumping program with options for both automatic and manual switching between pumping phases, all to help moms' needs. Symphony is Medela's latest innovation in hospital-grade electric double pumps. With breakthrough 2-Phase Expression pumping, Symphony is proven to reduce pumping time through faster let-down and milk flow and remove as much milk as a breatfeeding baby. Symphony implements the results of extensive research on electric breastpumps initiated by medela and conducted by internationally renowned lactation researcher Peter hartmann, Ph.D. 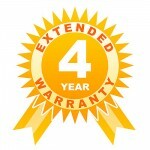 The pumping programs are stored on a program card, which enable the programs to be utilized in the future. Also for moms' convenience, another unique feature is the one knob which combines vacuum level and the number of cycles per minute during the expression phase. This will enable moms to switch between single and double pumping simply by adding or removing the second pump collection set. In addition, the membrane separates the pump collection set from the pump mechanism to ensure overflow protection without compromising vacuum capacity. 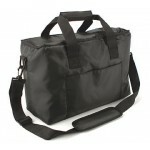 The LCD Display indicates the pumping phase, vacuum level, battery status, and other handling and service information. The Medela, aptly named the professional symphony, allows for a quiet and soothing symphony which will never distract or encumber this special time with your baby. 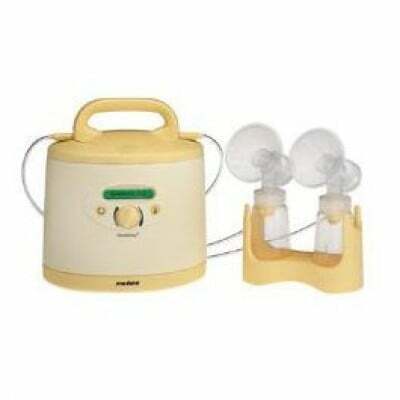 Medela products are not only durable, but touted as being the best quality in breast pumping products today. This is the reason why it is rated number one among stay-at-home moms, working moms, and moms who are constantly on the go. It is easy to use, comfortable, effective, gentle to use, and affords moms the opportunity to spend quality time with their babies and establish a breast pumping routine from the outset. Check out the Medela Professional Symphony Electric Breast Pump and give you and your baby the opportunity to become one of the many hundreds of women who are singing the praises of this special product. The Symphony Breast Pump is the first breast pump with Natural Expression, Medela’s breakthrough two-phase pumping program that offers an initial, rapid rhythm to promote "Let-Down" and then a slower, deeper rhythm for efficient milk expression. Includes Pumping Program with options for both automatic and manual switching between pumping phases, based on moms’ needs. Pumping Programs are stored on a Program Card, allowing further Pumping Programs to be implemented in the future by releasing alternate Program Cards as research supports it. For moms’ convenience, one knob combines vacuum level and the number of cycles per minute in the expression phase. Moms can switch between single and double pumping simply by adding or removing the second Pump Collection Set. Specially designed membrane separates Pump Collection Set from pump mechanism, ensuring unmatched overflow protection without compromising vacuum capacity. LCD Display indicates pumping phase, vacuum level, battery status, and other handling and service information. Whisper-quiet; the world’s quietest symphony you are happy not to hear…. Comfort Flow Zone for maximum comfort and efficiency—gentle to the breast tissue. Best price I could find and shipped fast! I would purchase from them again. This is a great pump, much better than the Medela freestyle I had been using. The best pump there is... I was able to use this at the hospital while visiting my preemie in the NICU. It was the most effective and efficient machine I've ever used. Wish it didn't cost so much, it makes it hard to obtain for mother's who could use this blessing on the daily basis to help support breast feeding their their baby. I pump at work too! I am not able to be a SAHM but at least I can say my little girl has been breast fed for all 8 months of her life so far and going strong! It is a pain some days to pump but it is part of my day so I just do it like any other task. The people I work with are 99% guys, who I have to rely on to give me breaks and I think me pumping makes them uncomfortable but oh well! I am in a bathroom doing it! Good for you for being a mama, working and blogging! I am sure life can get hectic but it's worth it! 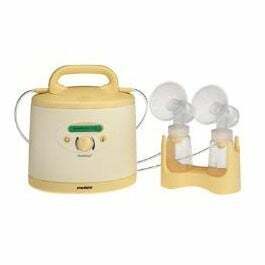 The Medela Symphony pumps let's me pump quickly and effectively. This is way better than their standard double pump since it gets a lot more milk out at a fast rate. If you can afford the steep price it is WAY worth it! The Baby's Den was by far the cheapest online so it did save me $$$. This is what the mothers want. 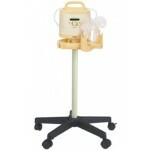 Our company has a total of seven of the Medela Symphony (various style) pumps over two locations. The mothers prefer them over other hospital grade pumps (for personal use) and are very happy.